On Nov. 12, several offices and centers of the C. T. Bauer College of Business will move from Melcher Hall to new locations in the University Classroom and Business Building (UCBB). The following units will have new office locations — Graduate and Professional Programs, Professional Accounting Programs, Wolff Center for Entrepreneurship, Graduate Real Estate Program, Global Energy Management Institute, Institute for Regional Forecasting and Bauer Leadership Initiatives. In addition, some faculty offices will move to UCBB, along with a portion of Bauer Division of Technology. The directory of faculty and staff moving to UCBB is below. 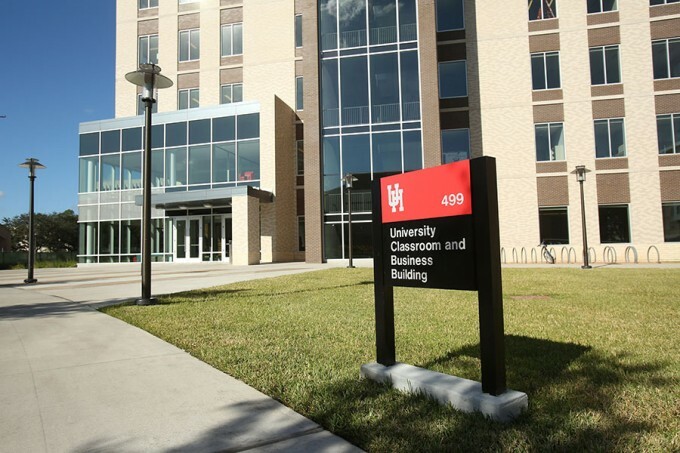 UCBB is located near Melcher Hall and Cemo Hall, which houses the college’s Rockwell Career Center, on the northeast side of the University of Houston campus. The five-story building includes three floors of Bauer College classrooms and services (floors 3, 4 and 5), along with two floors of UH general purpose classrooms and the campus Writing Center.